Rated 5 out of 5 by Dylana from Very Satisfied I have always used Garnier products since I found them I love the way the shampoo and conditioner really brings out my hair and brings it to life. I absolutely love this color and it took me forever to find it I have only just dyed my hair recently about a mouth and since then I still have not had to dye it yet. The color has lasted a lot longer than expected and I am very satisfied with your products and do not get rid of this color please. Rated 2 out of 5 by Unfortunately from This dye really doesn't work.. it completely washed out of my hair within two washes. I am very disappointed with the product and I had high hopes for it.. 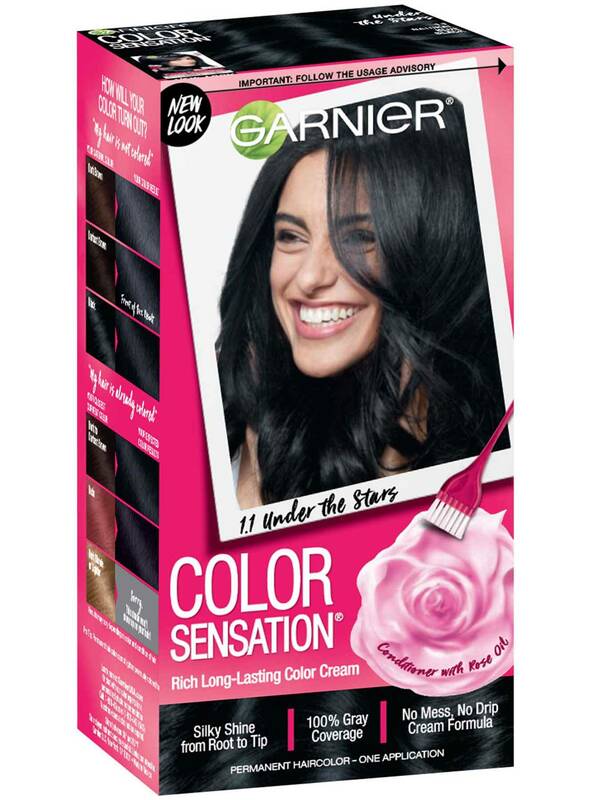 Rated 5 out of 5 by Blugypsie from Great color Garnier never disappoints. Made my hair feel great. My hair is very long and one box was enough. Covered my greys 100%. My only complaint is that I wish one of the many boxed hair color company's would read all the reviews about all the blue black hair dyes and make one with more blue undertones. 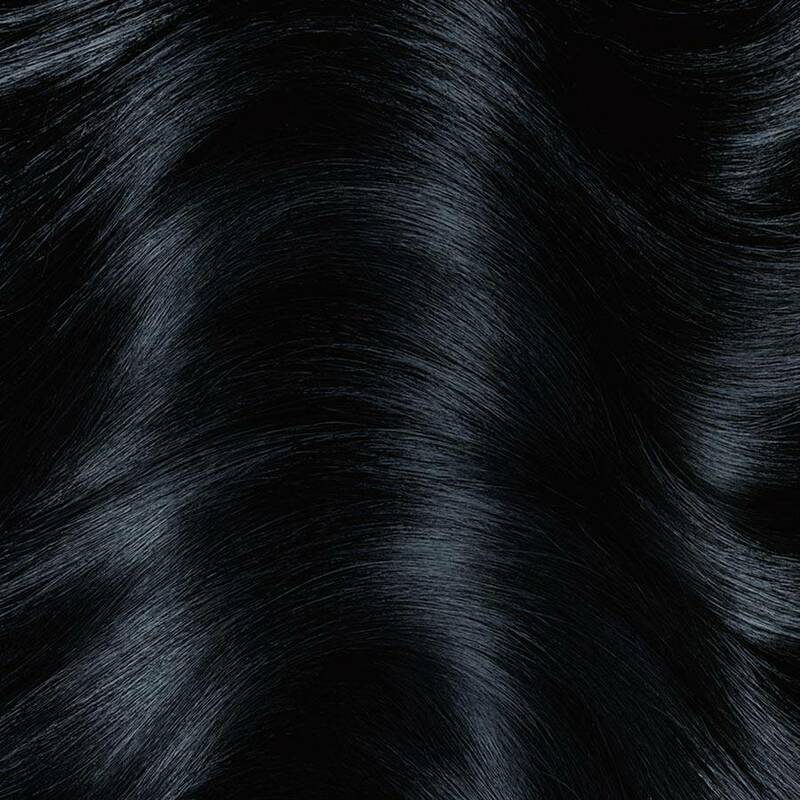 This is the biggest complaint about blue black hair color. Like this one it's a lovely black but no real blue.